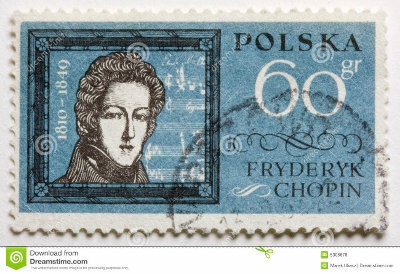 Frederic Chopin was born in 1810. This was the birth of the early pianos. A shift from harpsichords to pianos. He had three sisters, and lived a short life dying at age 39, of lung disease. Probably tuberculosis. Diagnosis was crude back then. 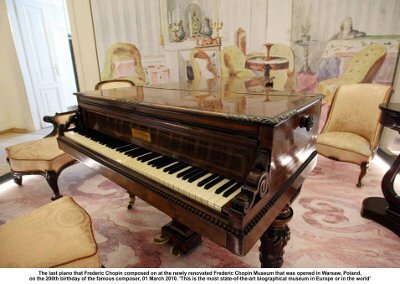 His favorite piano was Pleyel manufactured in Paris. 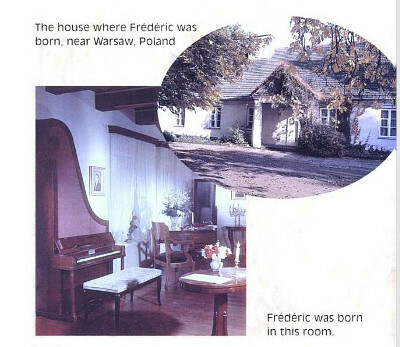 He was born just outside of Warsaw, Poland. His first concert was age 8, by then he’d already written two pieces of music. 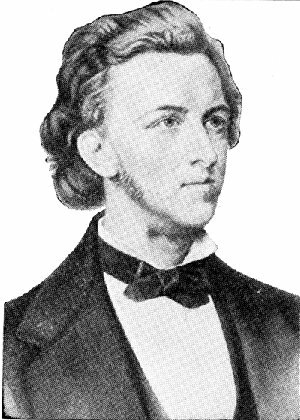 When he was 15 years old he performed for the Czar of Russia, and was given the diamond ring. Two years later one of his sisters died. It was not uncommon for people to die at an early age then. He battled illness most of his life. He taught himself how to play the piano and later learned theory, harmony, and melody. He toured Europe in his teens and played many famous places. His music was popular at that time. He had no wife, and no known children. 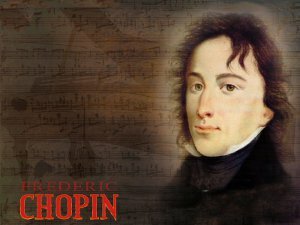 By 20 his health was weak, and he spent most of his time composing and teaching rather than performing. He spent most of his later years in Paris, and died there. 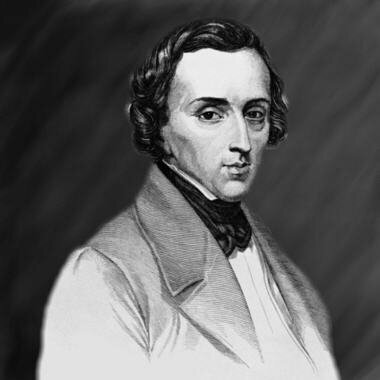 His works such as his sonatas (music for one instrument) in B flat minor (1840) and the concertos in E minor (1833) are still some of the most popular pieces in classical music.